Whether you need a speaker to deliver a dynamic keynote address or a conference presenter that can grab and hold an audience’s attention, then Gene Turner is the ideal choice. As a speaker, Gene will bring a new level of entertainment to your seminar, conference or meeting. 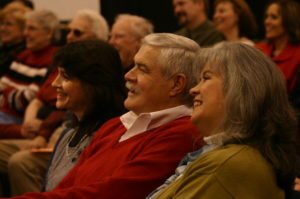 Gene can customize his proven presentations to create an unforgettable program. Gene’s presentation topics include identity theft protection, workplace safety, travel safety. Gene Turner, master pickpocket entertainer, understands that once a professional pickpocket has your wallet, he has access to your identity. Yet lifting wallets is only one way for thieves to gain access to your personal information. Disc over the simple steps you can take to help protect yourself from ID theft and its devastating effects during Gene’s Identity Theft Protection presentation. 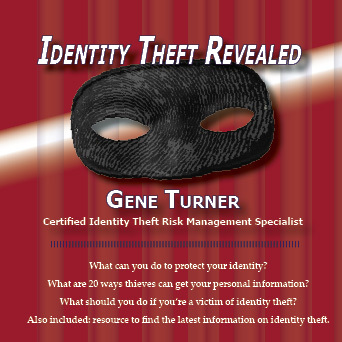 Gene Turner’s seminars can cover a range of identity theft topics and provide a thoroughly researched and up-to-date perspective on how to prevent identity theft and other preventative measures that can be taken while on traveling or at home. Whether you need a speaker to deliver a dynamic keynote address or a conference presenter that can grab and hold an audience’s attention, then Gene Turner is the ideal choice. As a speaker, Gene will bring a new level of entertainment to your seminar, conference or meeting. Gene can customize his proven presentations to create an unforgettable program. Gene’s presentation topics include identity theft protection, employee involvement, workplace safety, travel safety. Learn more about the specific topics Gene covers here. Gene makes learning fun when he delivers memorable, interactive training for your employees. Gene will work with you to build a training curriculum that’s right for your company. Contact Gene to discuss your training needs. Gene’s ability to demonstrate how easily your valuables and private information can be compromised helps your attendees realize it can happen to them. Gene provides the tools you need to keep yourself safe at work, at home or on the road. Gene developed the art of switching watches from one person to another without their knowledge. His performances include original material, sleight of hand & flawless execution. His pickpocket demo/challenge is impressive because the audience is close enough to see there is no smoke or mirrors — just the magic of a distinguished professional.